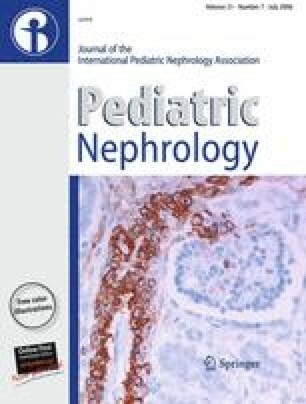 Growth failure is a clinically important issue in children with chronic kidney disease (CKD) and is associated with significant morbidity and mortality. Many factors contribute to impaired growth in these children, including abnormalities in the growth hormone (GH)–insulin-like growth factor-I (IGF-I) axis, malnutrition, acidosis, and renal bone disease. The management of growth failure in children with CKD is complicated by the presence of other disease-related complications requiring medical intervention. Despite evidence of GH efficacy and safety in this population, some practitioners and families have been reluctant to institute GH therapy, citing an unwillingness to comply with daily injections, reimbursement difficulties, or impending renal transplantation. Suboptimal attention to growth failure management may be further compounded by a lack of clinical guidelines for the appropriate assessment and treatment of growth failure in these children. This review of growth failure in children with CKD concludes with an algorithm developed by members of the consensus committee, outlining their recommendations for appropriate steps to improve growth and overall health outcomes in children with CKD. Members of the Consensus Committee that participated in this survey: Paul Fielder, PhD; Debbie S. Gipson, MD; Larry Greenbaum, MD, PhD; Marisa D. Juarez-Congelosi, BS, RD, LD; Frederick J. Kaskel, MD, PhD; Craig B. Langman, MD; Lynn D. Long, RN, MS; Dina Macdonald, RN, BSN, CNN; Deborah H. Miller, RN, MSN, CNN; Mark M. Mitsnefes, MD, MS; Valerie M. Panzarino, MD; Ron G. Rosenfeld, MD; Mouin G. Seikaly, MD; Brian Stabler, PhD; Sandra L. Watkins, MD.